Dean Eldon Baxter, 82, of Richland Center, formerly of Janesville, Wis., died Thursday, Nov. 17, 2016 at Home in Dayton Township. He was born on June 5, 1934 in Edgerton, Wis., the son of Oren and Elsie (Klingbyll) Baxter. Dean joined the Army in 1954–1957. He then married Barbara Jean Russell on Oct. 31, 1959 at St. John’s Lutheran Church in Beloit, Wis. He worked for 39 years at Beatrice Food’s in Beloit retiring at age 57 ½. He enjoyed hunting and fishing. Together they retired to Florida in 2001. Survivors include his wife, Barbara Baxter of Richland Center, Wis.; three children, K.J. (Donna) Pearsall of Clinton, Wis., Ann (Dan) Gerner of Richland Center, Wis., David (Connie) Baxter of Seabrook, Texas; eight grandchildren, Brooklyn Trumpy, Wesley Pearsall, Kenneth Pearsall III, Jennifer (Travis) Furgason, Jackie (Ben) Dalberg, Jason (Kasey) Gerner, Jazlyn Baxter, Kailey Baxter; nine great grandchildren, nieces, nephews, other relatives and friends. He was preceded in death by his parents; a son, Dan Baxter; a twin sister, Jean McCarthy and a brother, Richard Baxter. Funeral Services took place on Tuesday, Nov. 22, 2016 at 7 p.m. at the Clary Memorial Funeral Home in Richland Center. Visitation was Tuesday, Nov. 22, at the Clary Memorial Funeral Home from 4p.m. 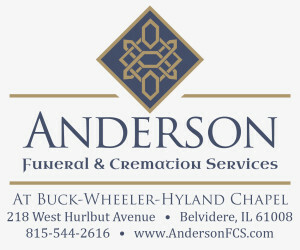 until the time of the service at 7 p.m. Online condolences can be made at www.clarymemorialfuneralhome.com.